Technology is constantly changing and the aviation industry is no stranger to this phenomenon, they must continue adapting to meet the needs of their customers and users who are increasingly demanding. With the increase in air traffic, some airports on the verge of congestion are being modernized using digital technology and artificial intelligence, in order to improve the flow of passengers thanks to the interaction of the users themselves. 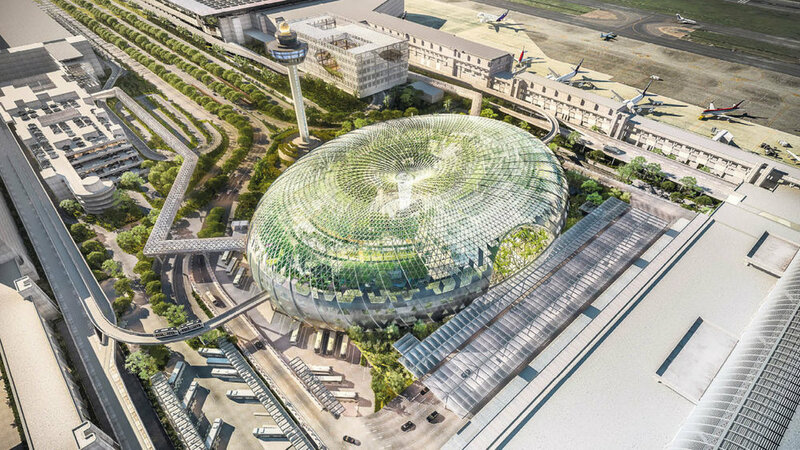 The business must meet the demand that exists in the industry and this is a constant growth and for this we must stop thinking about airports as the simple structure to which passengers go to take their planes to different destinations around the world. An airport goes much further in its activities, it is a gigantic surface of businesses that welcomes within itself restaurants, handicraft shops, beauty salons, bookstores and cafeterias, among a number of commercial offers that as well as airlines, they are designed to meet the needs of users. Undoubtedly, air traffic is undergoing a unique expansion and airports should be prepared for this phenomenon, as mentioned the air terminals are a large infrastructure with several businesses to satisfy each passenger passing by and this will be done with the help of the technology that is always undergoing constant changes, which encourages the industry to continue improving. Emerging companies rival in imagination while the technology already exists, it only remains to "identify and integrate the most relevant use cases", according to Jean-Baptiste Nau, expert in air transport. In terms of mobility, some airports are testing passenger tracking through the smartphone. Through this system, the traveler can be located and the latter receives personalized information in real time -about, for example, a change of boarding door- through an application or with sensors distributed by the airport. This 'future' that looms in the airports has to do with linking customers, things and companies, through technology. Another trend, such as machine learning, will also play an important role in the airports of the future. The use of this, for example, will allow to identify the peak hours that the migration points have and to suggest how many operators are needed to relieve congestion and thus, again, guarantee the satisfaction of the travelers. Merchants can also benefit from this tendency. For example, through the analytics, they can know in real time what type of travelers are arriving at their commercial points and thus send offers based on the preferences of these potential buyers. In addition, artificial intelligence can also be applied to anticipate the consequences of meteorological changes, strikes, traffic jams, works; informing the passenger and thus manage flows better. A digital tracking of the passenger that can also be used to obtain additional income. This is expected to start happening in the coming months, since currently the dynamics of innovation demand that actions be used in a timely manner, before the competitor gains an advantage.